Sit back and relax as you travel into the amazing National Park while your Driver Guide shares insights into the natural and cultural history of this fascinating region. 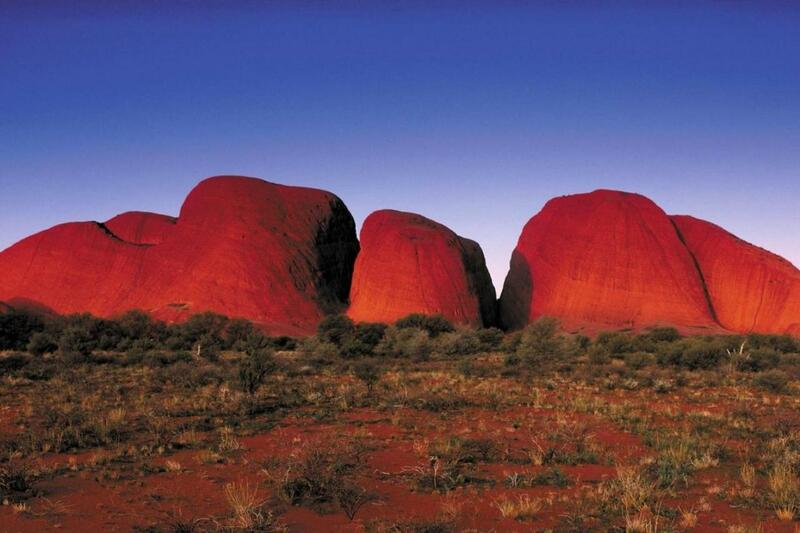 Kata Tjuta simply translated means ‘heads many’ and given the 36 steep-sided domes of Kata Tjuta, it is aptly named. This incredible formation of rock domes extends six kilometres into the ground and is the remains of erosion that began more than 500 million years ago. The area is sacred under Anangu men’s law and under this law, details of many stories of Kata Tjuta are not known except to initiated men. While delighting in chilled Australian wines and canapés, you can enjoy the wonder of a Kata Tjuta sunset. Each passing minute brings something new as the domes continue to change colour with the setting sun. Low level of fitness required Excludes National Park Entry Fee.